This interdisciplinary Workshop brings together lusophone scholars from the socalled „Global South“ and „Global North“ with the goal to discuss core terms such as inequality, globalization and development, along with the concepts of identity and memory. 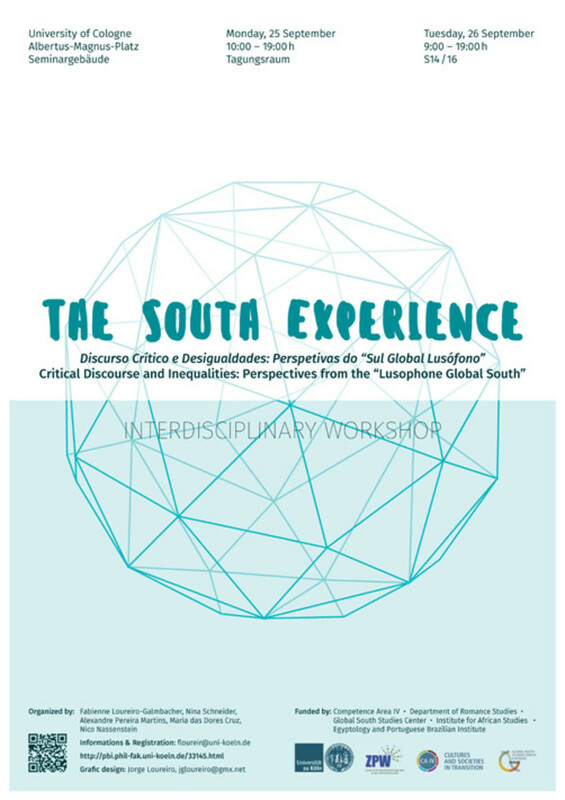 It marks the constitutive event for a long-term cooperation network including researchers from Angola, Brazil, Mozambique, Portugal, and Germany that aims to bridge the epistemic, social, and political divides that continue to mark the global sociopolitical and academic landscape. In recent years, these inequalities have increasingly become the subject of diverse critical schools such as Southern studies (Raewynn). Still, despite this solidarian rhetoric, real-life opportunities of mutual egalitarian exchange of knowledge and knowledge production remain scarce – both among scholars of the south and between researchers based in the North / South, respectively. Scholars continue to ‚other‘ their research subjects; apologetic Northerners tend to fashion the „South“ as their imagined other, while Southerners defend themselves against Eurocentrism risking to fall into the ethnocentric / nationalistic trap. The goal of this workshop is to critically interrogate one another’s concepts; identify similarities, differences, and biases; and to learn from each others research findings and methodological approaches.